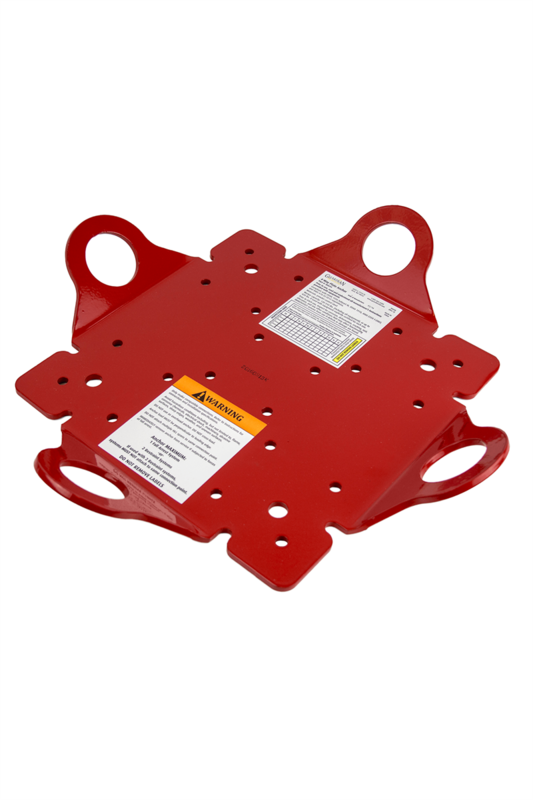 The Guardian Fall Protection 4-Way Plate Anchor supports one worker in fall arrest or two workers in fall restraint, and is suitable for installation onto wood, metal, or concrete. Its 4 connection points greatly increase the potential working range, as a worker can detach from a connection point, reattach to the opposite connection point, and be able to work in fall arrest or restraint on the other side of a building, all from the same anchor. Its 90-degree angles between its connection points also make the 4-Way Plate anchor a perfect rooftop corner joint for horizontal lifeline (HLL) systems.